Everything you need for lead capture, lead management and lead conversion in one marketing automation software. If you implement our Lead Follow Up Machine, how much additional % of leads you will be able to convert into customers? or Just calculate how much extra customers you will be able to generate using our Marketing Automation Software ? If you take your leads seriously, so do we take your business seriously. LFM is a complete lead management software to increase your lead conversions. Not just a Software, but also include Managed Services to increase your lead conversions. Lead Follow Up Machine plan includes following marketing automation features and resources. We will create 5 digital brochures. Indentify hot leads and save time on non-interested leads. Make a great first impression with smart and interactive digital vCard. Online payment integrations and automated sales funnels. Get more email open rates by testing A/B Variations. Step by Step training videos on how to user and implement LFM. Have a look at customer reviews on Lead Follow up Machine. I am a member of BNI & receive several leads and referrals on a daily basis. We also receive enquiries from Indiamart and Justdial. But the main challenge was to position me & my company as a trusted Solar Manufacturer. With digital vCard, eBrochure and automated follow ups, we are now able to make a great first impression & stand-out different from our competitors. They are offering Managed Services and this helped us get started quickly without investing time or manpower on implement marketing automation. Thanks to Magnet Marketing for their Lead Follow Up Machine and Automated delivery of Digital Brochure by sms / email to all our leads. All the initial queries of our leads are solved, before we actually call them. This also help our enquiries to better understand our USPs and why they should choose us and not our competitors. This service is just like a Sales Person working 24x7x365 for a Salary of just Rs. 3000/month. We implemented marketing automation in our Corporate Training Business. With their direct inbox email delivery, we are able to engage our clients on a continuous basis. We strongly recommend LFM to all Edupreneurs. After implementing LFM, I have 360 degree automated follow to all leads for my Real Estate Business. The sales cycle in our Realty business is quite long and it may take few weeks or even months to close a lead into customers. But with automated Sms, Email and Facebook follow up system, I can keep my leads engaged for a longer period of time. Marketing Automation Software helped me better understand the need of my enquiries. This system increased room occupancy of our Hotels and Villas from 30% to 55% in less than one year. Strategies by Viral Jadhav Sir and his team are practical and result oriented. Now I am least dependent on my sales persons. Implemented LFM for my Loan and Financial Investment business. Really affordable services as compared to the more leads we are able to convert. Strongly recommend all Marketing Automation services, especially LFM. Plus support and consultation from their team members is highly appreciated. LFM Strategy and their Marketing Automation Software is laser focused on converting leads. Now my sales team are more productive than ever. Automated meeting reminders to our leads has drastically reduced our lead-dropout ratio. And more importantly task reminders to customers creates a positive impression on our leads. One of our senior sales executive left the job and all the leads he was capturing went off with him. I wish, I could have backup of the leads he was following up with. But this lead management software is a secure centralized system to bring-in all leads from offline and online sources at one place. I’m running a Digital Marketing Agency and data from FB Lead Ad are pushed to automation software and saved a lot of manual work of downloading leads from FB Page Manager. And not only that, automated SMS and Email follow up has really improved our conversion ratio a lot. Since then, I have not used any Excel Sheet for managing or storing leads. Lead tracking is so powerful that it tell our sales people what to talk, when to talk and what to offer. Now we know which leads are going to convert; and with a tiny sales team, we are now closing more deals than ever. LFM provided us recurring tax reminders that not only helped me get regular renewals, but it also helped our customers in timely return filings. Implementing marketing automation gave us more free time and peace of mind. Get clarity with below frequently asked questions by our customers. What will I get ? Is it software or what ? You will get cloud platform (marketing automation software) as well as Lead Briefcase mobile app to capture, manage and nurture your leads. These seems to be advanced automations. Is it difficult to use ? Who will setup my Funnel ? We will setup marketing automation for you, including your Email Sequence, SMS Sequence, Landing Pages and Digital Brochure. You just need to provide basic and strategic inputs to our support team. And it's not difficult at all. You will also have access to your platform and we also have step by step Video Tutorials on how to setup email automations, sms automations and forms. Plus we also provide email support for your queries. How to start Lead Follow Up Machine ? How much time is required to setup ? You can subscribe by making online payment on above plans. Once you subscribe, we will create your account within 24 to 72 working hours. Pricings are okay. But is it really worth to invest in Lead Follow Up Machine ? Do you Guarantee 30% lead conversions ? Honestly, we don't guarantee results, but let’s assume that you are able to convert just 10% Extra Leads, calculate the additional revenue from it and compare the cost. Right Now!. Yes at this very moments, your hard earned leads are being followed up by your competitors or they are loosing interest in your products and services. Okay. I still have few queries before I make a purchase. Good to see that you are really serious about growing your business and we look forward to work with you. 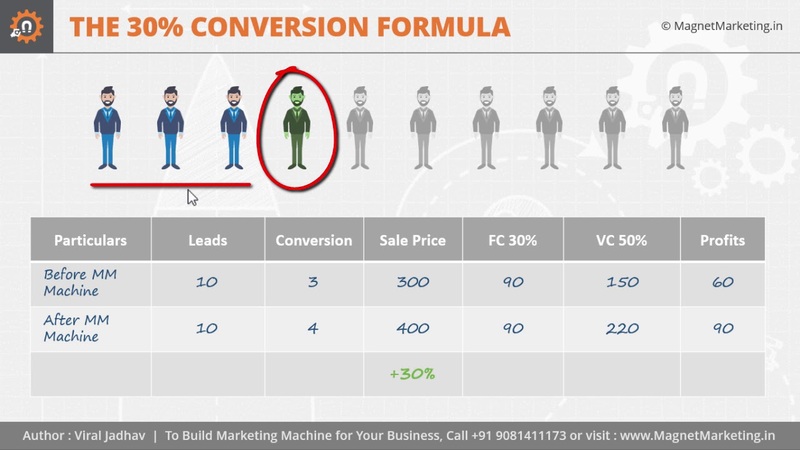 Give us a Call on +91 9081411173 (in business hours) and talk to our Marketing Strategists on how Lead Follow Up Machine can help you convert more leads. It's time to reduce your man power cost, save your valuable time, convert more leads to grow your business with Lead Mangement Software.